Islam is not a new religion. 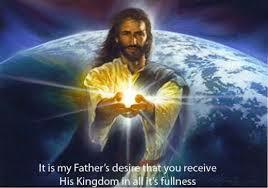 It is the same truth that God revealed to all His prophets throughout history. Islam is both a religion and a complete way of life. When they say Prophets, they include Jesus. 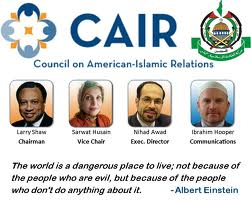 But what CAIR does not mention is that Muslims believe in a different version of Jesus. One who was not the Son of God. And they, the Jews and the Christians, and those that claim that the angels are God’s daughters, say (read wa-qālū or [simply] qālū) ‘God has taken to Himself a son’; God says: Glory be to Him!, as a way of exalting Himself above this; Nay, to Him belongs all that is in the heavens and the earth, as possessions, creatures and servants, and this sovereignty contradicts having a child, and is expressed by [the particle] mā, ‘all that’, in order to include all [creation] that is not rational; all obey His will, submitting to that which is required from each one of them: here the emphasis is on rational beings. The only problem with those statements is that Jesus himself said he was the Son of God. 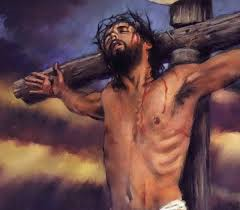 Nor do Muslims believe that Jesus was crucified. Back to the CONcil on American Islamic Relations. Islam is both a religion and a complete way of life. Muslims follow a religion of peace, mercy and forgiveness that should not be associated with acts of violence against the innocent. Yes, a way of life that calls for the death of those who have turned to disbelief. Muslims believe in One, Unique, and Incomparable God. They believe in the Day of Judgement and individual accountability for actions. Muslims believe in a chain of prophets beginning with Adam and including Noah, Abraham, Ishmael, Isaac, Jacob, Joseph, Job, Moses, David, Solomon, and Jesus, and that God’s eternal message was reaffirmed and finalized by the Prophet Muhammad (peace be on them all). The Day of Judgment was explained HERE. Like I said, how would these harsh truths go over with non-Muslims if Muslims spoke the entire true in their sales pitch???? In an effort to give them a chance to respond, the article has been Tweeted to them. Please feel free to take whatever you like from this site as you fight the information war with Islam. 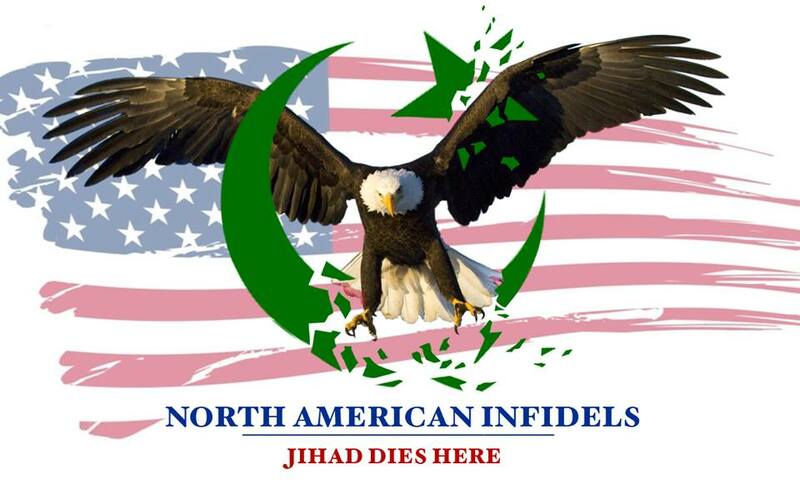 Also please help the North American Infidel (NAI) team continue to take the Islamic bull by the horns, by making a contribution today via PayPal. Your support is necessary, and greatly appreciated! Jesus was not a jew. He was a Saxon Israelite of the Tribe of Judah. The White Race of Europe are the real Israelites of the bible who were “put away in punishment for seven times” in 745 B.C. “for in Isaac shall thy seed be called” God told Abraham in Genesis 21:12. But after founding Abraham’s “Many Nations” in the wilderness of Europe, the Isaac Sons dropped the “I” in their name, and became known as “Saxons.” Send me an email and I will send you some graphics showing this fact of history. Seven Times is 2520 years that ended on July 4, 1776 when the Saxon Israelites founded the New JerUSAlem in America at the end of the Seven Times. The Founding Fathers of America all knew they were the “regathered” Israelites, and in Ben Franklin’s Seal Design, he shows the White Race of Israel crossing the Red Sea with Moses. Jews were “never slaves” in Egypt with Moses or anywhere else as slaves. See John 8:33 where they admit to Jesus the non-Jew that they were never slaves. Jews admit they are Edomite Canaanites, not Israelites nor Judahites: “Strictly speaking, it is incorrect to call an ancient Israelite a Jew or to call a contemporary Jew an Israelite or Hebrew.” Jewish Almanac 1980. “Esau-Edom is modern Jewry” 1925 Jewish Encyclopedia, Vol. 5 page 41. So you see Jesus was not a jew as they admit they are NOT the Hebrew Israelites of the bible. They (Jews) were defeated in Idumea (Greek for Edom) in 125 BC and forced to “become Judeans” that year. That was far too late to have written any of the bible and 40 years AFTER the first Hanukkah. Neither Hanukkah or Passover are Jewish for they were not in Egypt to SEE Passover, and joined the Judeans four decades AFTER the first Hanukkah that happened in 165 B.C. So send me an email address to skipbaker@cox.net and I will send you some teaching graphics that will help you understand this information. I suppose that the Gospels are ALL wrong and you alone are right! Of course all of the Gospels, New Testament & Jewish history are false but you are in the know! Thanks Chris, a great read, I cross posted on both of my sites, Dangers of Allah and We The People. J.C.
Hope all is well, thank you! UPDATE: They have not responded.